A unique Aston Martin DB4GT that was the last off the production line and is the only one of its kind with coachwork by Italian design house Bertone will be offered for sale at the 14th annual Bonhams auction of Aston Martin and Lagonda motor cars at Aston Martin Works in Newport Pagnell, UK, on Saturday 18th May. The complete ‘one-off’, which has been fully restored by Aston Martin, will go under the hammer in the manufacturer’s 100th anniversary year, and is expected to realise between £2.8 million and £3.8 million. In 1960 Aston Martin commissioned Bertone to conceive and build a special Gran Turismo version of the DB4GT to be premiered at the 1961 Geneva Motor Show. The finished design – with its strikingly angular lines – was penned by a young Giorgetto Guigiaro, who would go on to become one of the most celebrated automotive designers of our time. The final DB4GT to come off the production line, the car was named ‘The Jet’ and debuted as planned in Geneva alongside Jaguar’s new E-type. The car is offered from a deceased estate, and comes to market for the first time in over 25 years. Its late owner owned several other Aston Martins, before falling for ‘The Jet’ in 1986. He had it restored to concours condition by the factory, since which time it has won 12 awards including ‘First in Class’ at Pebble Beach and the Hurlingham Club, and ‘Best in Show’ at Villa D’Este. The 1960 Aston Martin DB4GT Bertone ‘Jet’ was recently put on display at the 2013 Bonhams auction at the Grand Palais in Paris, France, prior to being offered for sale in May. 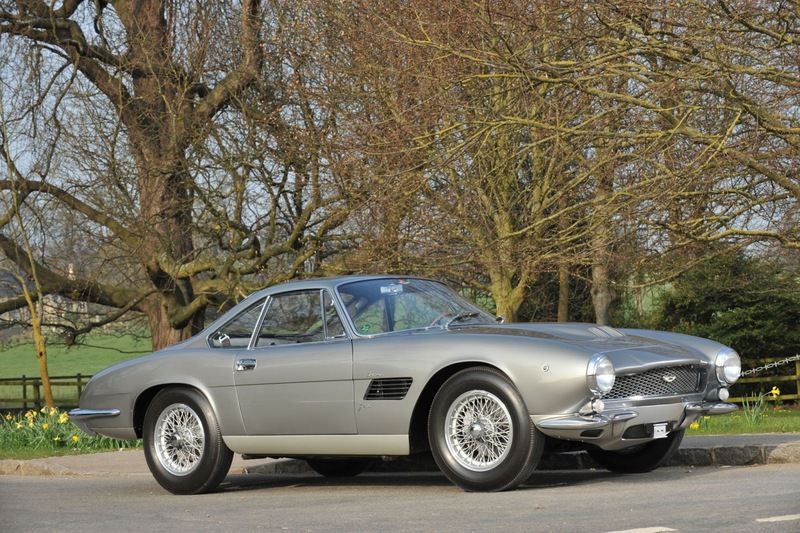 Consignments are still being accepted for this sale, which forms a key part of Aston Martin’s centenary celebrations. To discuss entries call the Motor Car Department on +44 (0) 20 7468 5801 or email ukcars@bonhams.com.